Clean Up City of St. Augustine, Florida: Who the heck is Gov. 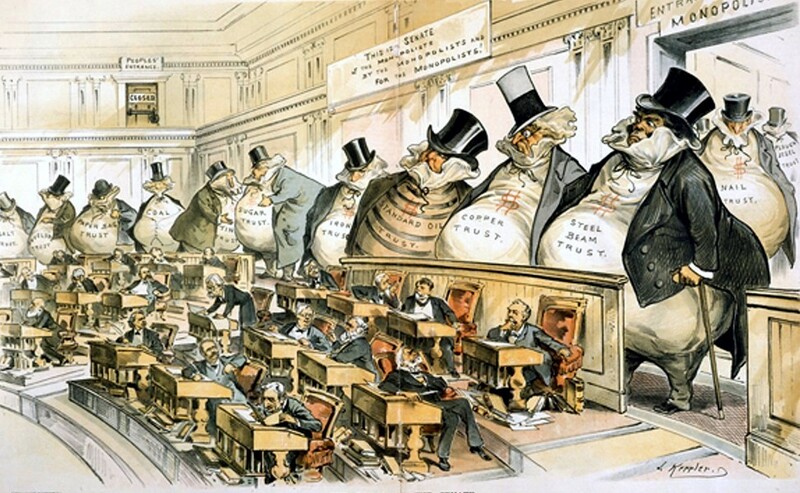 RICK SCOTT "Fundraiser," Oilman DANIEL EBERHART, Threatening Florida Senator Marco Antonio Rubio? Who the heck is Gov. RICK SCOTT "Fundraiser," Oilman DANIEL EBERHART, Threatening Florida Senator Marco Antonio Rubio? 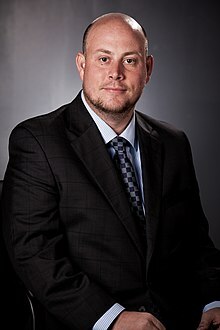 Dan K. Eberhart is the Chief Executive Officer of Canary, LLC, a Denver, Colorado based drilling-services company, and is managing partner of Eberhart Capital, LLC. Eberhart is a native of Georgia and holds a bachelor of arts degree in economics and political science from Vanderbilt University and a Juris Doctor degree from Tulane Law School, where he was the President of the Tulane Federalist Society. While at Vanderbilt, he founded a conservative student group for bringing speakers to campus. He moved from New Orleans, Louisiana to Phoenix, Arizona after graduating law school and working for just three weeks before Hurricane Katrina hit. Eberhart’s company, Canary, installs and services wellheads at drilling locations. As of early 2014, Eberhart’s private equity firm, Eberhart Capital LLC, has been involved in a total of 12 acquisitions since 2007, from several different sectors including the oil and gas industry. 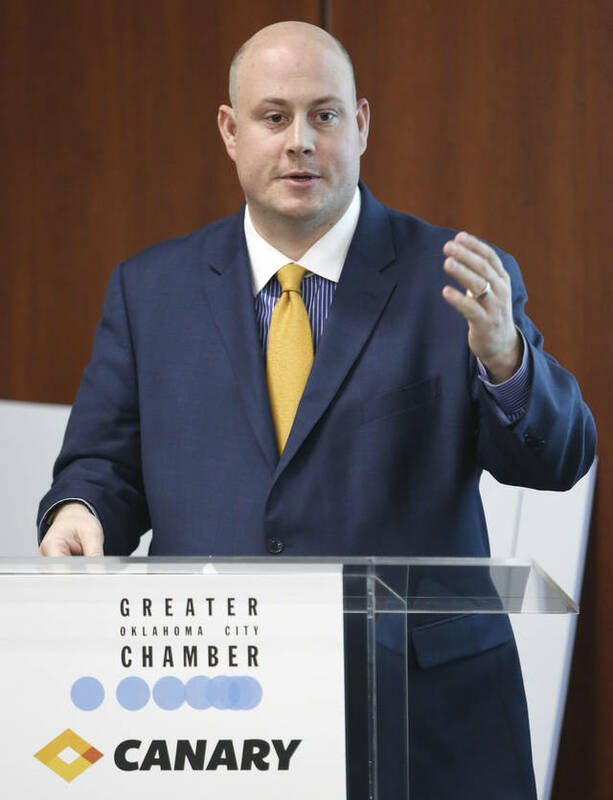 Eberhart got his start as a business owner when he quit his job at a Houston-based international oil field service company and purchased Frontier Wellhead & Supply Co. in January 2009. 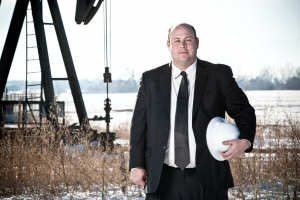 From 2009 to 2012, he added seven acquisitions of oilfield services companies to Frontier. In January 2013, he purchased Oklahoma City, Oklahoma-based rival, Canary Wellhead Equipment Inc., for less than $100 million. The combined Frontier Wellhead and Canary Wellhead is headquartered in Denver and operates under the name Canary, LLC for name recognition. It has a revenue of over $100 million, and Eberhart is the CEO. 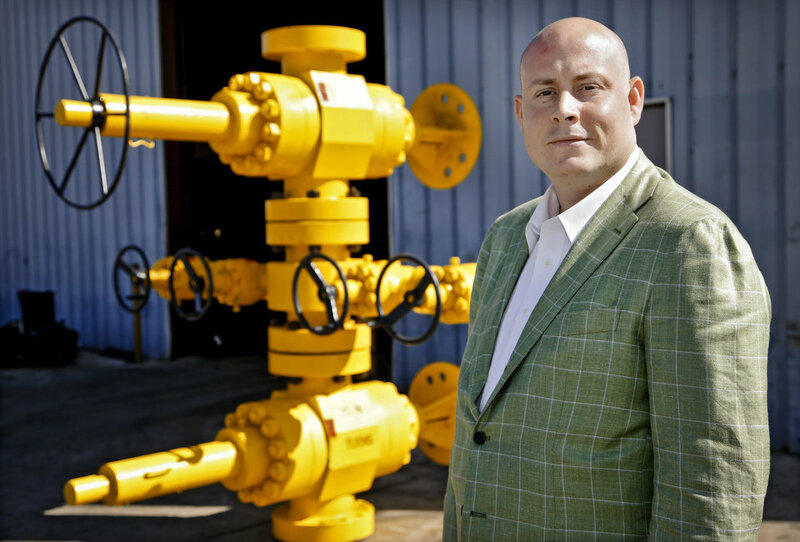 The company is now the sixth-largest privately owned oilfield service company and the largest independent wellhead service provider in the United States. Before he purchased Frontier Wellhead, Eberhart was the vice president of acquisitions for Greene's Energy Group, LLC. He also served as vice president of acquisitions for Robson Energy in Arizona. Eberhart’s investment company, Eberhart Capital LLC, owns Canary and other companies. Its acquisitions include Unitherm Furnaces, LLC, a Missouri-based industrial furnace maker, which it acquired in January 2014. It also owns Precision Pipeline, Inc., and three trucking companies: Poling Express, LLC, Twin Express, and Golden Drop Trucking. The company also acquired then divested Luft Machine, a manufacturing company. In July 2014, they acquired Contractor Sales and Services, an industrial construction equipment rental company based in Des Moines, Iowa. Eberhart Capital is based in Scottsdale, Arizona and has $100 million in assets and $200 million in revenue. Eberhart is a member of the North Dakota Petroleum Council and the Colorado Oil & Gas Association. He is also a director of the Los Angeles World Affairs Council. Long-running tensions between Florida Gov. Rick Scott and Sen. Marco Rubio have flared in the midterm elections, straining relations among Republicans as Scott prepares to launch a campaign for the Senate next week in a crucial battleground. Scott is poised to announce his challenge to three-term Democratic Sen. Bill Nelson on Monday, after encouragement from President Trump and other Republican leaders. Rubio (R-Fla.) will not appear at the kickoff. He also has said he does not plan to “campaign against” Nelson, whom he has praised as a partner. Rubio’s stance, which could burnish Nelson’s bipartisan credentials, has struck a nerve among some Scott allies. They say the Republican senator is still nursing grudges from the 2016 campaign. Rubio said in a written statement to The Washington Post on Thursday that he is supporting Scott, but strategists and donors wonder how enthusiastically. Republicans close to Rubio said he has privately voiced his displeasure over attacks he faced in 2016 from a Senate primary challenger whose campaign was run by consultants who also work for Scott. And they said he has forged a genuinely productive relationship with Nelson. The friction between Scott and Rubio threatens to hinder Republicans in a critical race as the GOP looks to add to its 51-49 Senate majority in a state that Trump won. Scott’s entrance into the race has the potential to upend the Senate map by forcing Democrats to spend millions of dollars in Florida that otherwise could go toward other races. There is talk among Scott’s close associates about amassing more than $100 million for his bid. Democratic energy is high across the country, and GOP strategists are anticipating a close race in Florida. Rubio’s deep roots in South Florida’s Cuban American community could make him a valuable surrogate in a tight campaign. But those close to the Republican senator are not predicting that he will go out on a limb to propel Scott across the finish line. Interviews with people who know Scott and Rubio described a cordial relationship between two Republicans with different personalities. Rubio, 46, rose through the ranks of the Florida legislature before being elected to the Senate in 2010. Scott, 65, was elected governor in 2010 as a political outsider. He had built a career as a health-care executive. Trump toppled Rubio in Florida, and Rubio immediately ended his campaign. But it was what happened in the months afterward that really irked him, people close to Rubio said. Party leaders successfully convinced Rubio to run for reelection to the Senate, after he initially said he would not. But not everyone in the party cleared the way for him. Carlos Beruff, a wealthy real estate developer who already was running, decided to stay in the contest. He ran ads aggressively attacking Rubio. Beruff’s campaign was helmed by strategists who worked for Scott, including consultants at OnMessage, a firm that has worked for Scott and is expected to play a major role in his Senate campaign. “The fact that Scott’s consultants ran a lot of negative ads against Rubio does not make the relationship easier,” said one person close to Rubio. A Scott political adviser had no immediate comment on the relationship between the governor and the senator. Last week, Rubio told reporters that he would support the Republican nominee for Senate and predicted it would be Scott, if he runs. At the same time, he highlighted his positive relationship with Nelson and pledged not to “campaign against” him. Two Republicans in frequent contact with Scott said that in private conversations he doesn’t mention Rubio much. The governor said last month that he would make a “big announcement” April 9 via Facebook Live. Rubio will not be on hand for that, the senator’s office said. He will be in Washington for Senate business. Republicans are not expecting a sudden bromance to blossom in the coming months. “They are both guys who are focused on their own brand,” said one Republican associate of Rubio and Scott.